What’s in store for entrepreneurs and the economy in the Year of the Horse? A feng shui expert gives his predictions and brief guidance for the year that will start on January 31, 2014 and end on February 18, 2015. <>2014, the Year of the Horse, would be another good year for all of us. This is according to feng shui expert Master Hanz Cua. As he sees it, the Horse can possibly bring all of us forward after the setbacks of the previous year. “The economy,” he added, “will be stronger.” We might expect more good business news this year. But Master Hanz warned that calamities are inevitable. The country might still suffer from natural disasters like earthquakes and typhoons, which might possibly get stronger and more devastating. The prevailing element will be fire. That is why luck will be more likely to be magnetized by businesses that have to do with fire. Those include enterprises in the industries of food (because fire is used for cooking), manufacturing, car, electricity, and oil. President Benigno Aquino III was born in the Year of the Rat. He may be involved in unlikely political arguments, which may also be bad for the country as a whole. But on the upside, his sign has access to ‘wealth luck star.’ And because he can be considered as a strong ‘fire’ person, he would continue to bring luck to the economy. China would have another good year in terms of economic strength. Filipino businesses that have transactions with mainland-based companies, especially involving wood materials like paper, would enjoy their luck this year. However, the Philippines and China might possibly have a serious political conflict this year, which might compromise security and trade relations. Here are more predictions from Master Hanz. These are individual prospects for various signs (all 12 of those). People who are born under the Rat sign will have the least luck this year, in terms of career, business, and romance. This is because Rat is in direct conflict with the Horse. They should refrain from taking investments unless they are in partnership with people who are born under the sign of the Sheep. For people under the Ox sign, the year will bring in better luck in terms of career and finances. Their careers may take off. But they must be wary because of possible conflicts in romance, especially male Oxen, who might tend to be promiscuous. Gossips and lawsuits may come to the way of those born under the Tiger sign. They should beware because they might be more prone to theft and robbery. This year will not be ideal for lending money to others. 2014 will be the best year for business expansion for entrepreneurs who are born in the Year of the Rabbit. However, these businessmen should also be more careful because they might fall as victims of fraud and scams. They should invest in stocks and real estate. The year would not be good in general for those born under the sign of the Dragon. But to balance things off, they could enjoy promotions as they might be luckier in their chosen careers. Those born in the Year of the Snake were not lucky last year. This year, they will get to the path of recovery and take a turnaround, albeit slowly. They need to form partnership with possible business partners who are born in luckier years to make sure their endeavors would succeed. The Year of the Horse would not be a really lucky year for those who are born under this sign. They should handle their finances well. But they will be lucky in terms of career and self achievement. The second half of the year will bring in more luck to them. People who are born in the Year of the Sheep will be the luckiest this year. Entrepreneurs who are under this sign will find more and better business opportunities. Their ventures will also take more chances for expansion. These people can share their luck with those born under unlucky signs this year especially when they are starting up businesses. Those born in the Year of the Monkey will have more luck in terms of career and finances. That is because the Monkey will be the second luckiest sign this year, after the Sheep. They may enjoy job promotions and travel more. It will be a variable year for those born under the sign of the Rooster. There will be interesting and challenging issues in most facets of their lives. They will need to learn adaption to survive or succeed in terms of career and businesses. 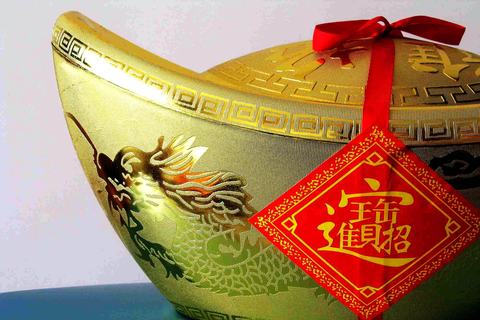 The Year of the Horse will be good for entrepreneurs who were born in the Year of the Dog. 2014 will be a year of progress and reward. They will have better chances of shining in the workplace and finding another employment option. It is also a promising year for starting up a business. There should be lots of celebrations for people born in the Year of the Pig. After a hard year, 2014 will bring about personal as well as professional improvements.